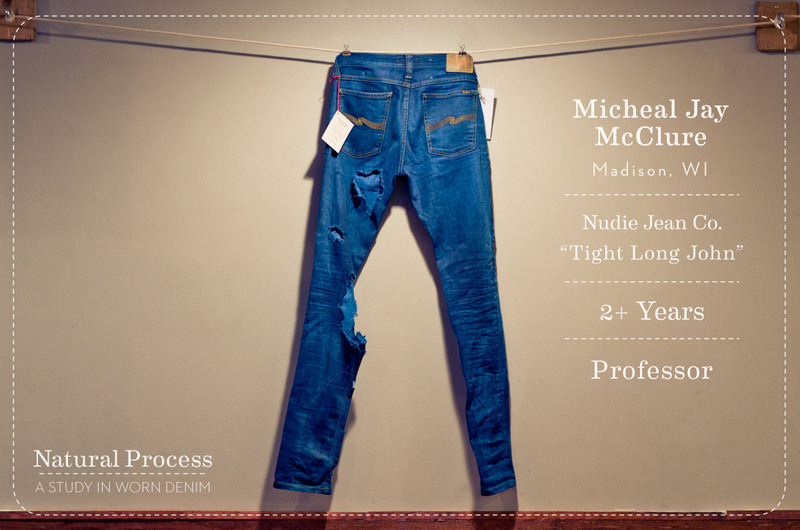 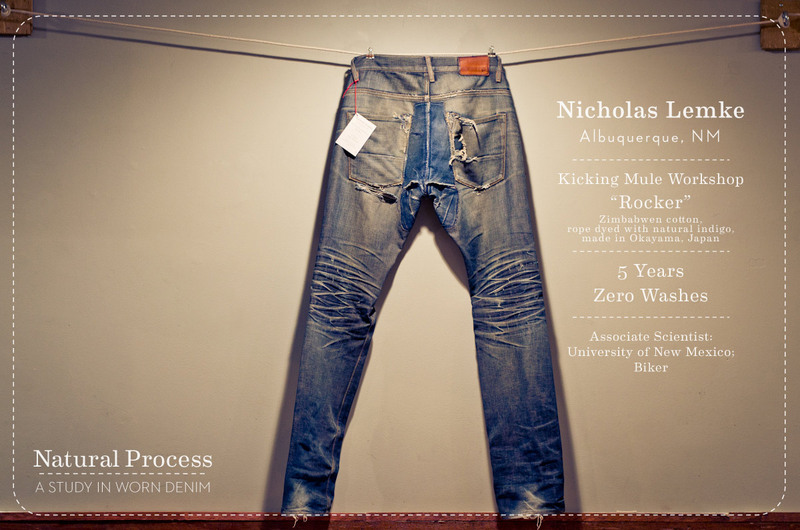 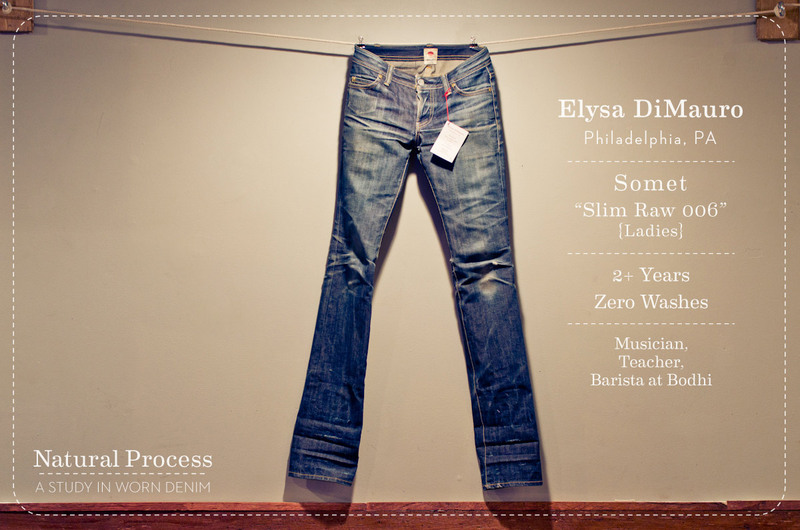 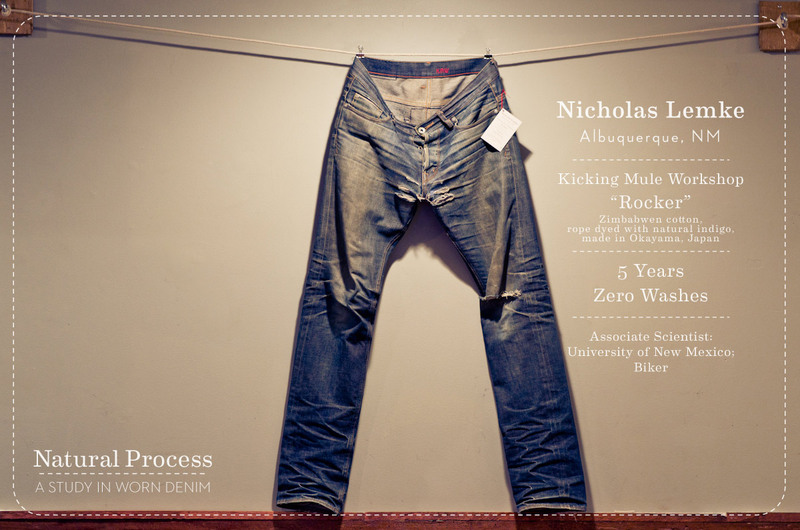 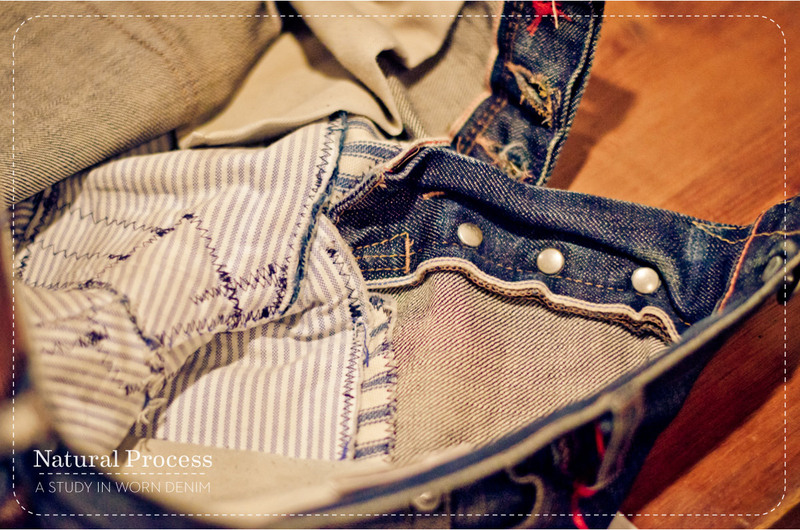 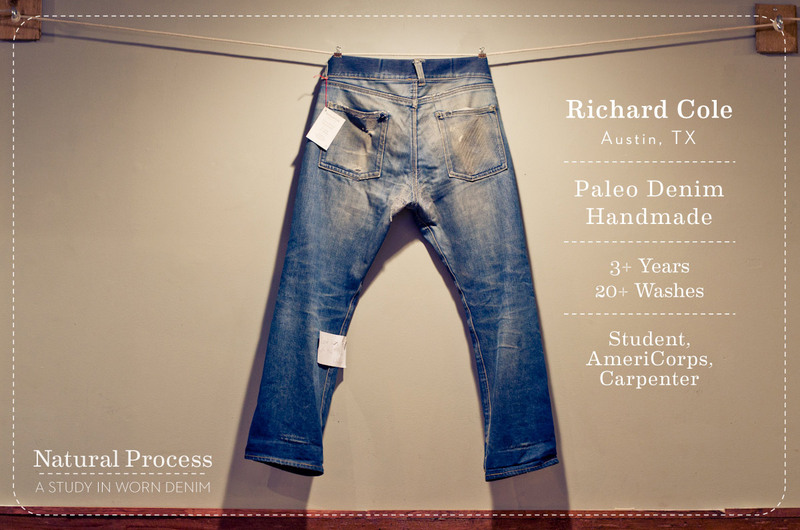 As most of you know, we curated the show “Natural Process: A Study in Worn Denim” with April Nett, and Elysa DiMauro that ran in Philadelphia from January-February of 2012. 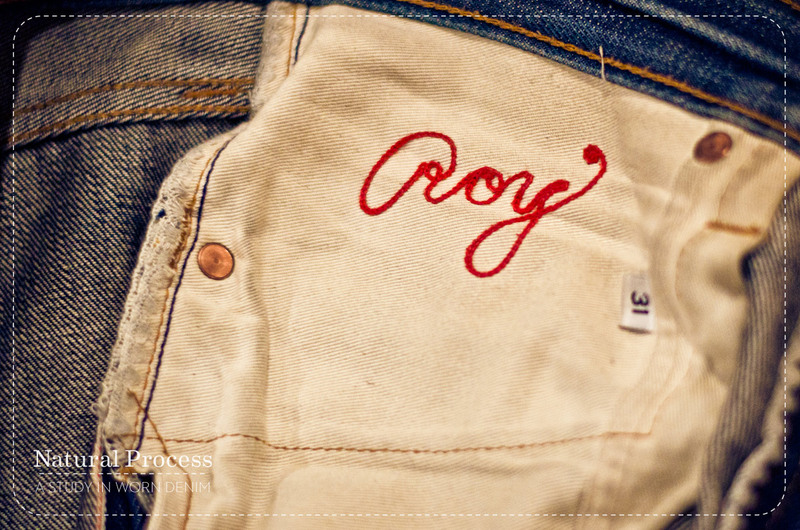 The show was sponsored by Art in the Age Craft Spirits and had a very successful turnout at the opening as well as plenty of press over the course of it’s run. 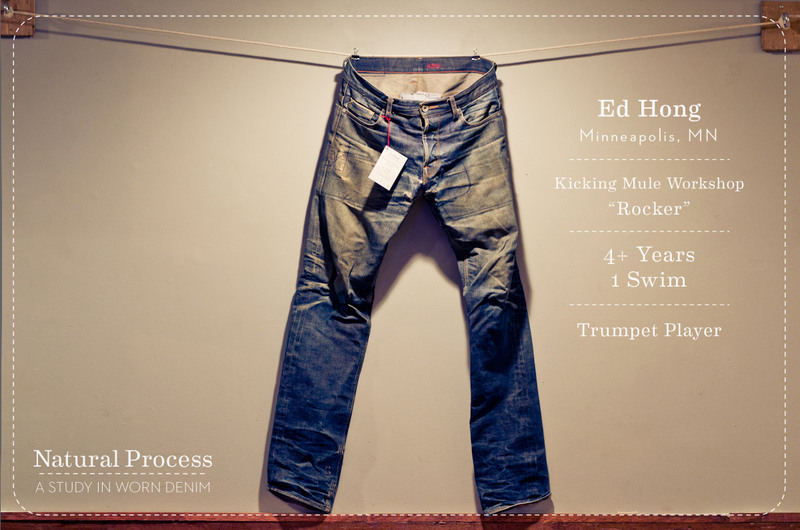 This was our first attempt at a retail installation and we learned quite a bit in the process. 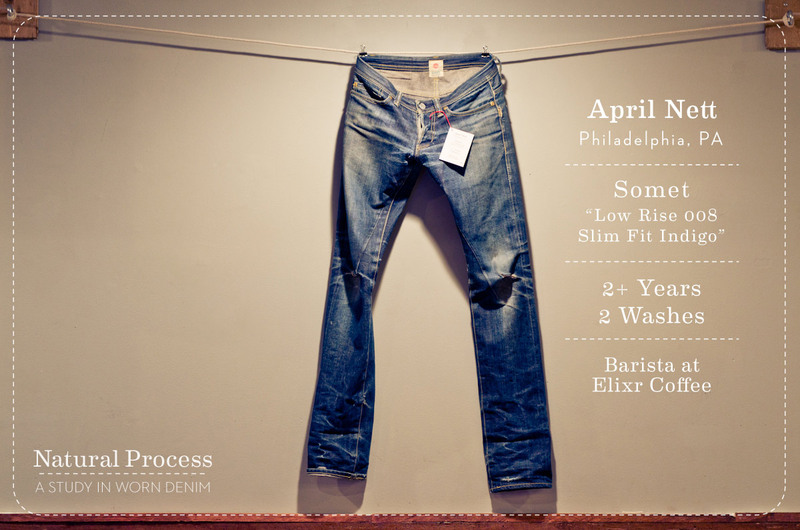 We really appreciate everyone who lent us their jeans for the show as well as everyone who came out to see it while it was up. 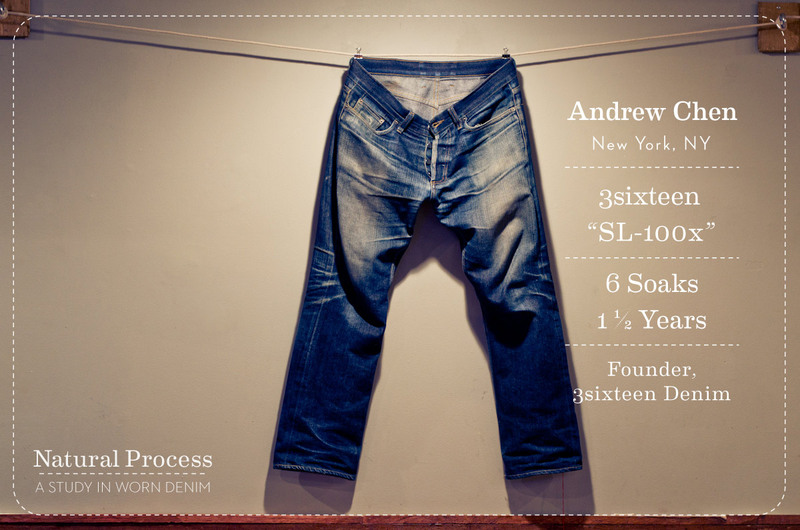 We had a blast curating it and wanted to memorialize it in some way so we took a few photos of some of our favorite pairs including pairs from the manufacturers that donated to the show. 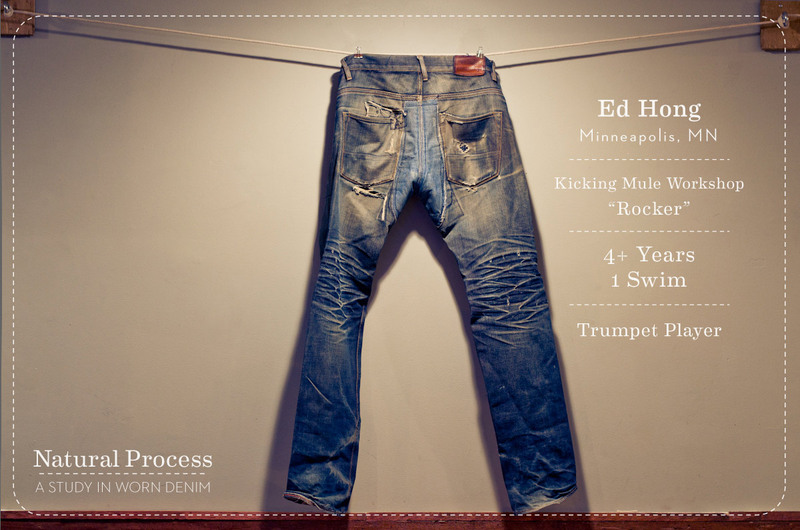 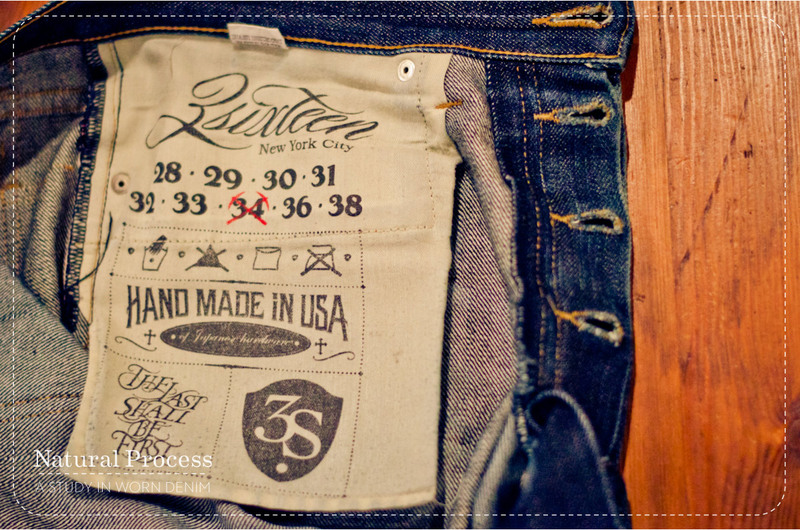 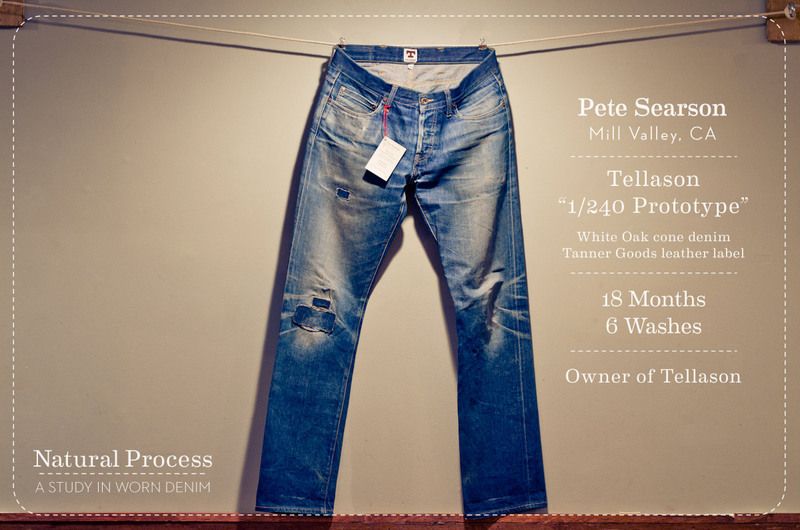 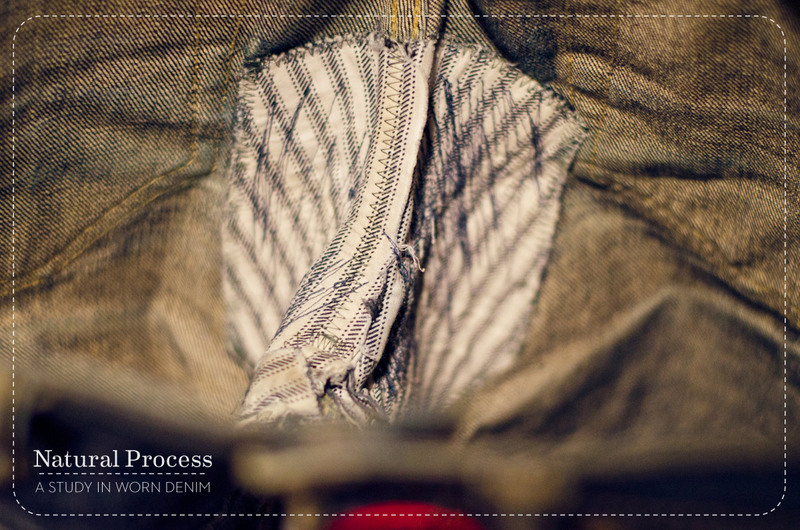 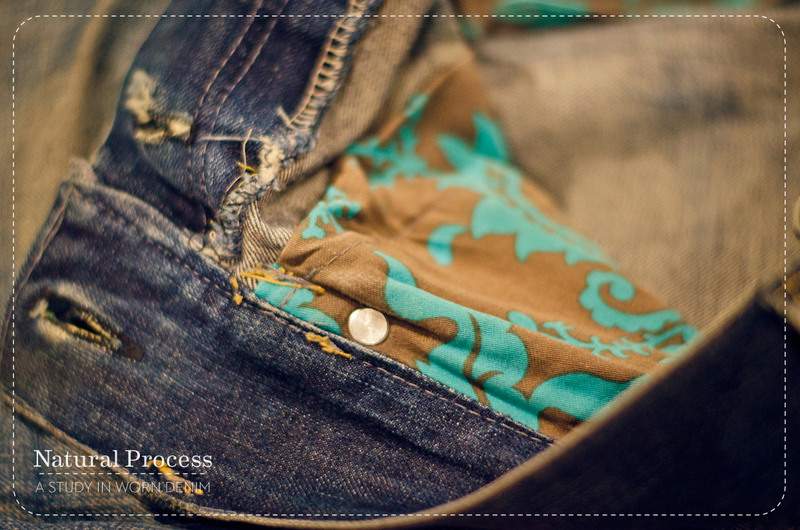 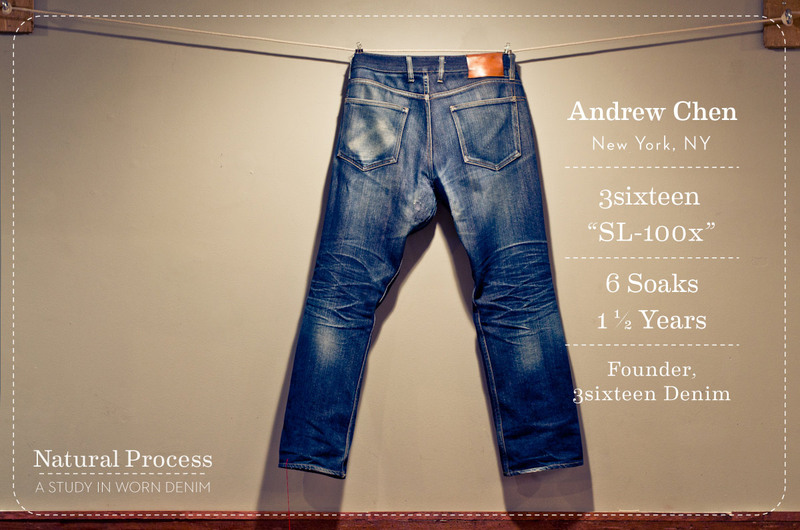 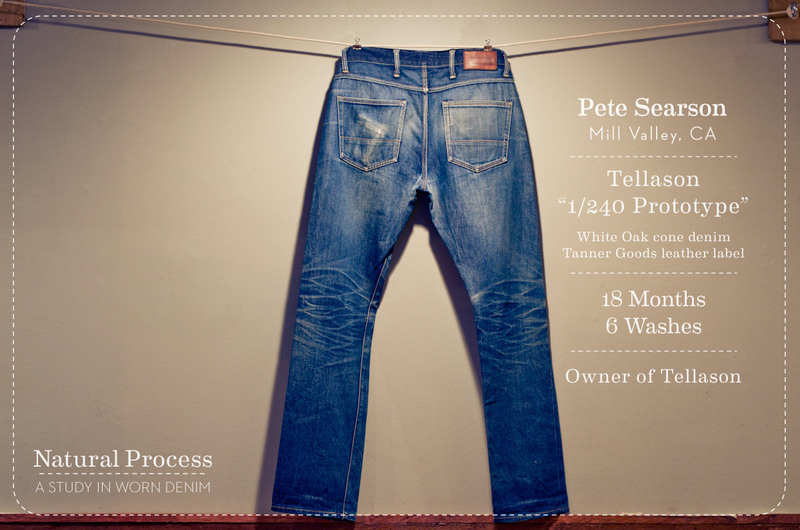 Represented below are Kicking Mule Workshop, Paleo Denim, Tellason, Roy Denim, Nudie, and Levi’s. 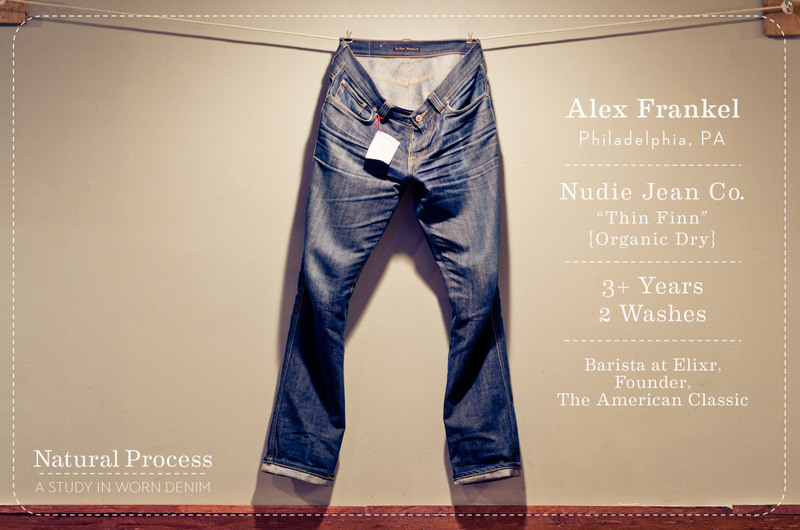 All text on the photos appears exactly as it did on the card accompanying each pair in person with each person’s basic information and how their jeans had gotten the way they were over time. 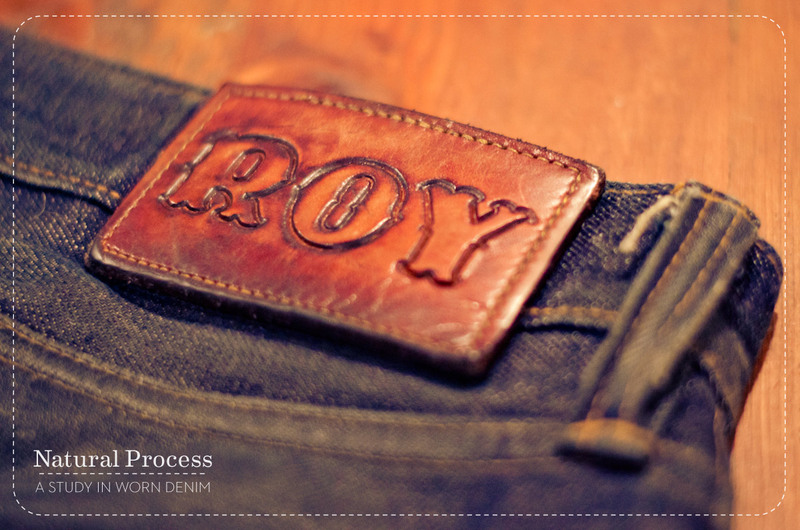 We hope you like them and thanks again for looking. 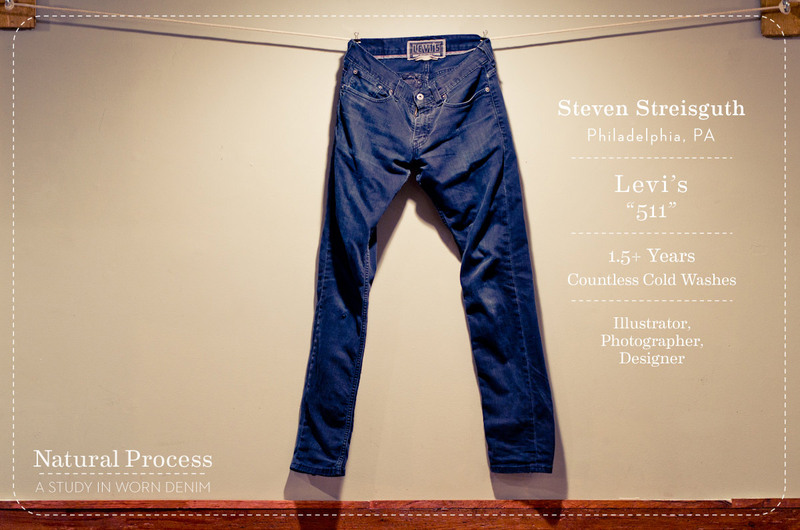 All photography by Steve Streisguth.